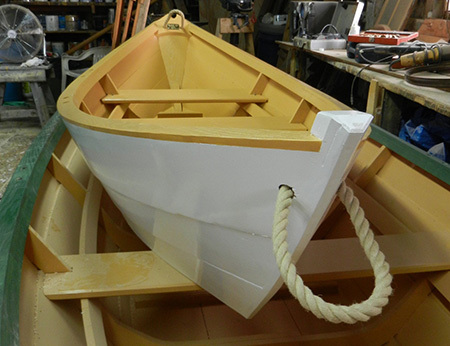 Developed as a tender for a 50-foot schooner, the Little Sister is the smallest of our working Banks dories. At just 11 feet, three inches in length and 90 lbs, these dories occupy minimal deck space and aren’t too heavy to hoist aboard. But don’t let their compact size fool you! They’re still dories and so can carry up to 800 lbs.